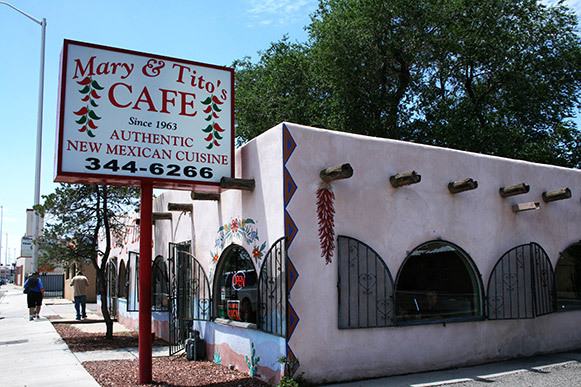 I have been looking forward to coming back to Mary and Tito's. It has been nearly 4 years since I came here last time. 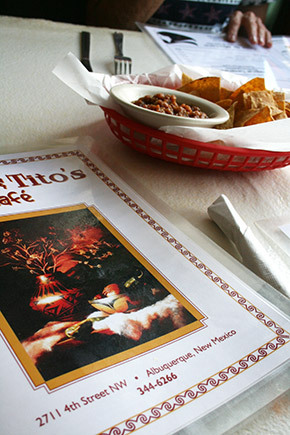 Althgouth I have not been to every - or even many - little (New) Mexican restaurants in Albuquerque, I do try several new places every time I visit. 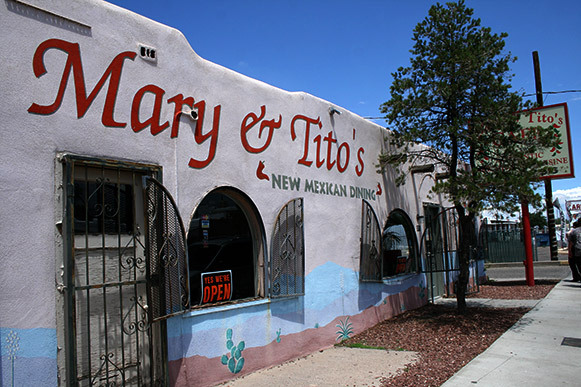 I have no hesitation in saying that Mary and Tito's is my favorite, and my most recent visit confirmed that certainty. 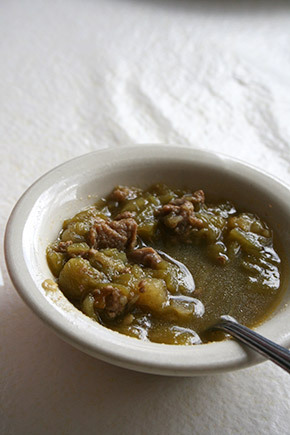 New Mexican restaurants always have the option of red or green chile (sauce) and the locals have their favorite place for both. 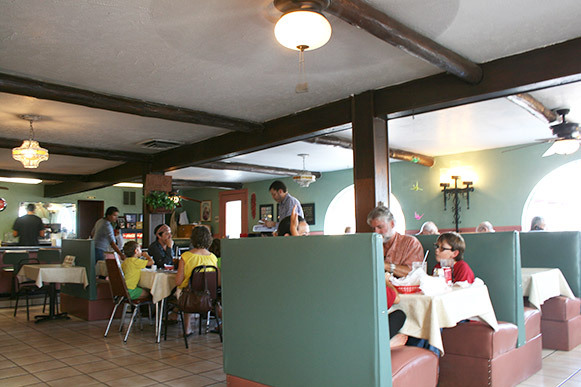 My husband, mother-in-law and I all agreed that Mary and Tito's serves the best red sauce in town. 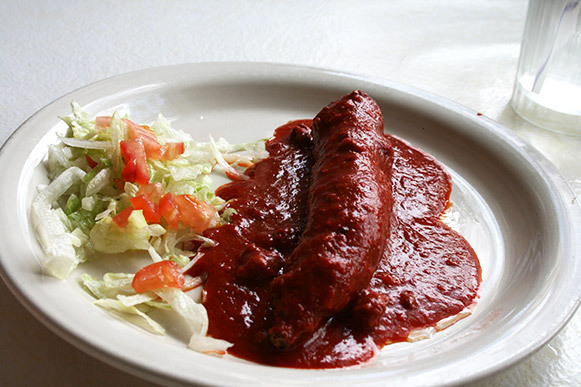 Their red sauce is so creamy and flavorful, unlike some that are just hot and have no flavor. 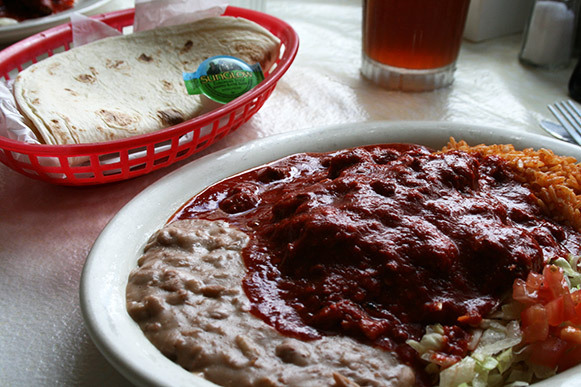 My husband prefers red chile a little hotter than me, but regardless he said it is his favorite - and he was born here. 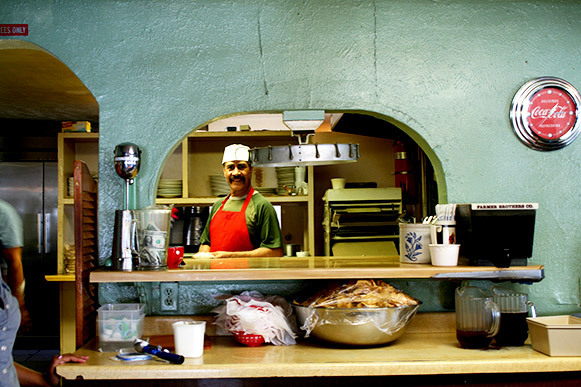 Unlike the red sauce,the green was firery hot. 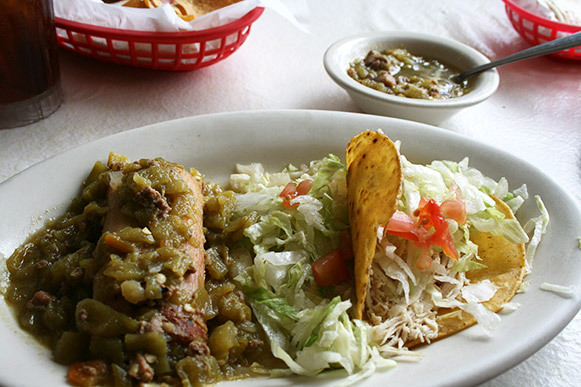 It has an amazing smokey taste which is a key flavor of green sauce. 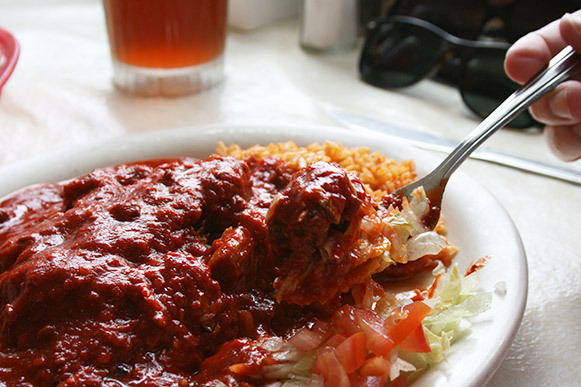 Some places like Mary & Tito's put meat in the sauce - in this case, beef. 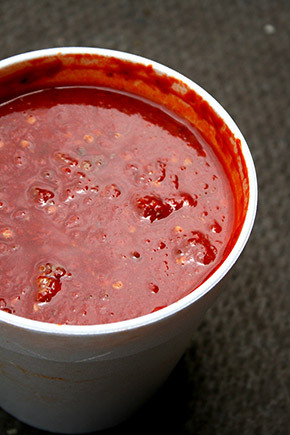 Although it is not listed on the menu, you can buy just the sauce if you ask. 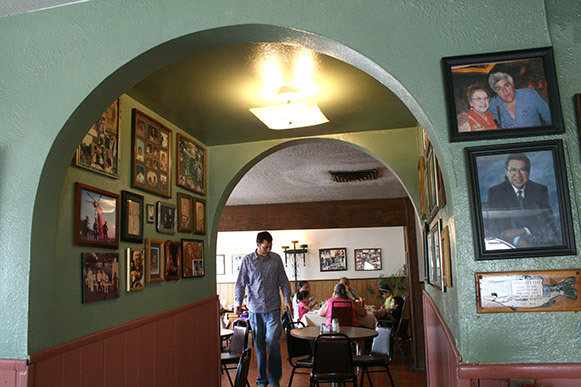 Their chef, Patricio Arguello, who has been cooking at Mary and Tito's for 30 years, will ladle their famous sauce into a to-go cup for you. 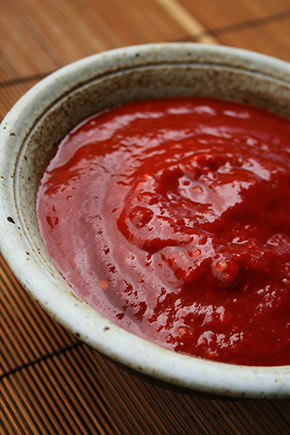 We used it at home for breakfast, lunch and dinner all week.